The first week of August hangs at the very top of the summer, the top of the live-long year, like the highest seat of a Ferris wheel when it pauses in its turning. Getting ready to settle in with Shirley Jackson this afternoon. At the risk of sounding like a cranky middle-aged person, I don’t like the fact that August has become the new September. Labor Day used to signal the end of summer, and even that seemed too early, given that September is usually the most glorious month of the year. 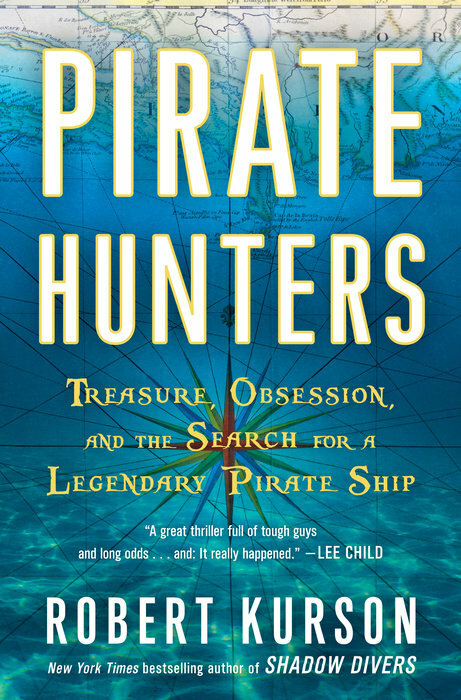 One good thing about this unwelcome change is that more books seem to be released in August. Maybe publishers are thinking of August as the beginning of the fall season — traditionally the prime time for publication? Do not despair. Despite all those back-to-school flyers about pencils and backpacks, summer is nowhere near over. (At least not for grownups, right?) It’s August! The sun’s out, the days are long, and every week brings a new crop of fantastic new releases in your neighborhood bookstore. So plant yourself defiantly in a hammock and insist on what’s yours: one more month of leisurely reading time. Reality can wait its turn. The Parnassus staff has some great book recommendations, including two of my recent favorites: The Light of the World, a beautiful meditation on loss and healing, by Elizabeth Alexander, and Pirate Hunters: Treasure, Obsession, and the Search for a Legendary Pirate Ship, by Robert Kurson, as well as a new novel my colleague Molly absolutely loved: Fishbowl, by Bradley Somer. The August selection for Parnassus’s First Editions Book Club is Circling the Sun, a biographical novel about Beryl Markham by Paula McLain (The Paris Wife). I enjoyed Circling the Sun very much, although some of my coworkers weren’t enamored with McLain’s writing style. It inspired me to reread sections of Markham’s memoir, West With the Night, which was one of the first books my book club read, back in 1988. I’m really excited about several books published this month. 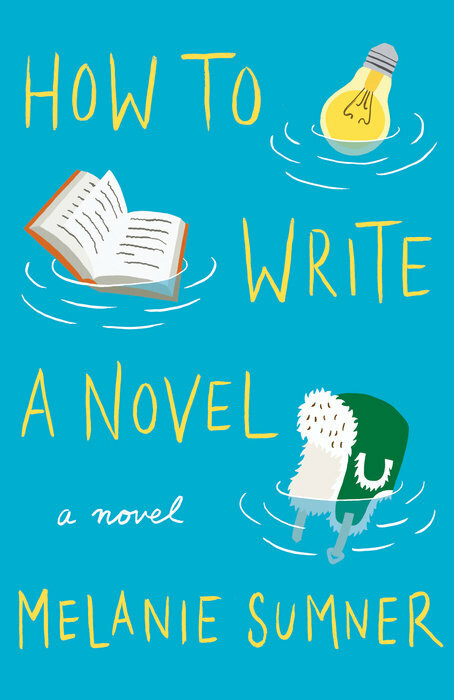 Melanie Sumner’s debut novel, How to Write a Novel (a paperback original), is a delight. I loved every page of this book, and what I enjoyed most was the voice of the 12.5-year-old (and yes, that’s how she refers to herself) narrator, Aristotle. While trying to write a book, following the instructions in a writing manual, Aristotle stumbles upon some family secrets. Fans of Where’d You Go, Bernadette? will adore this smart and endearing novel — and since almost everyone loves Where’d You Go, Bernadette?, that means almost everyone will enjoy How to Write a Novel. You could also look at this book as a Harriet the Spy for grownups. 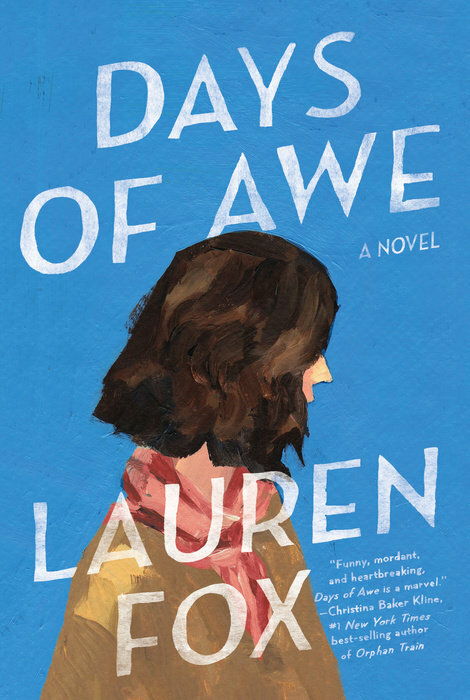 Days of Awe, by Lauren Fox, also features a protagonist with a memorable voice. Isabel, a wife, mother, and middle school teacher, is crippled by grief and guilt when her best friend dies in a car accident. Days of Awe is a story of self-discovery, as Isabel redefines her relationships with everyone she loves. It’s by no means an unrelentingly sad book — Isabel, who makes plenty of mistakes, is filled with clever, self-deprecating humor. 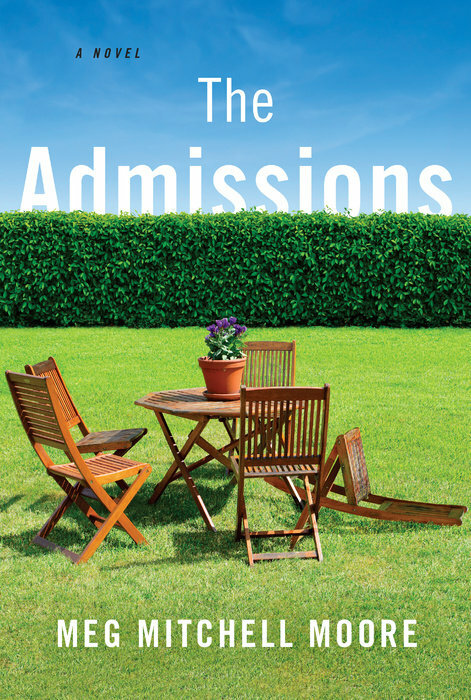 Meg Mitchell Moore’s The Admissions (available August 18) is not just another book about college admissions and the associated parental and teenage angst. This insightful and delightfully witty novel is about much more than getting into college: the secrets the members of the upwardly mobile Hawthorne family are keeping from each other, and the admissions they must make. I loved Moore’s previous books (The Arrivals and So Far Away) and I’m not sure why she hasn’t received more acclaim. Please look for a Q & A with the author on Books on the Table later this month! Coming on August 25 is a book that touched my bookselling heart — it’s sort of a mashup of Goodnight June (Sarah Jio) and The Storied Life of A.J. Fikry. 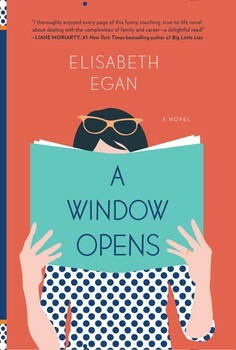 A Window Opens, by Elisabeth Egan, makes me want to gush, so I’m not going to hold back — I adored it! It’s the clever and entertaining story of a full-time mother and part-time editor who suddenly needs to find a “real” job — and lands at “Scroll”, an up-and-coming company with a diabolically quirky corporate culture that plans to develop e-book lounges. (At least, that’s the party line Scroll feeds our heroine, a book lover.) Perfect for all those readers who don’t want to read “dark” or “depressing” books, the novel pays tribute to independent bookstores — and tells a heartwarming family story at the same time. Don’t rush the end of summer — there’s still plenty of outdoor reading time! Amen to that! 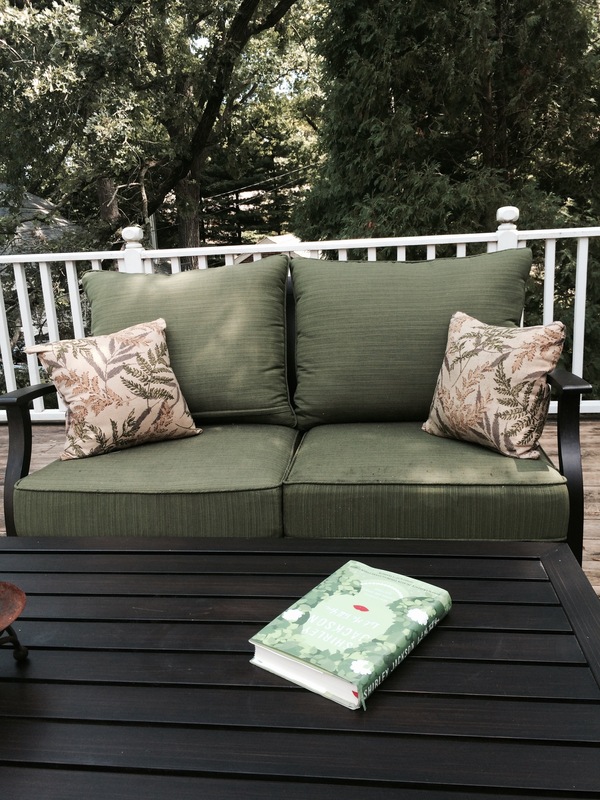 Enjoy the book and your porch! I’m SO with you on the short summers! I saw my first “back to school” picture of my kids’ friends on Facebook today…what?! It’s August 6!! And – I really enjoyed Days of Awe – Fox’s snarky writing did it for me. And, Circling the Sun pleasantly surprised me as well. I’ve also been hearing pretty good rumblings about Fishbowl…will have to keep my eye on that. Enjoy the rest of your SUMMER!! I too enjoyed A Window Opens. I don’t know why but August has always been a very productive month (reading-wise) for me, even compared to July. Also how cute is the cover of A Window Opens? It’s really eye-catching.